Poke-Power: Final Sting: Once during your turn (before your attack), you may Knock Out Beedrill. If you do, choose 1 of your opponent's Defending Pokemon. That Pokemon is now Paralyzed and Poisoned. 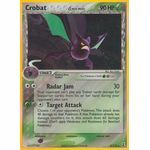 Put 2 damage counters instead of 1 on that Pokemon between turns. 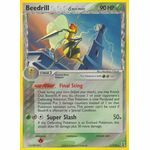 This power can't be used if Beedrill is affected by a Special Condition. [G][M][C] Super Slash: 50+ damage. If the Defending Pokemon is an Evolved Pokemon, this attack does 50 damage plus 30 more damage. [C][C] Radar Jam: 30 damage. 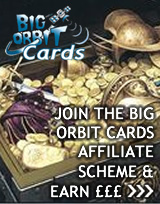 Your opponent can't play any Trainer cards (except for Supporter cards) from his or her hand during your opponent's next turn. 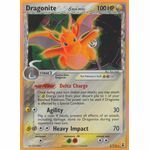 Poke-Power: Delta Charge: Once during your turn (before your attack), you may attach a [L] Energy card from your discard pile to 1 of your Benched Pokemon. This power can't be used if Dragonite is affected by a Special Condition. [L][C] Agility: 30 damage. Flip a coin. If heads, prevent all effects of an attack, including damage, done to Dragonite during your opponent's next turn. [L][M][C][C] Heavy Impact: 70 damage. Poke-Power: Delta Heal: Once during your turn (before your attack), you may remove 1 damage counter from each of your Pokemon that has delta on its card. You can't use more than 1 Delta Heal Poke-Power each turn. 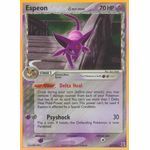 This power can't be used if Espeon is affected by a Special Condition. [P][M] Psyshock: 30 damage. Flip a coin. If heads, the Defending Pokemon is now Paralyzed. [C] Delta Search: 10 damage. 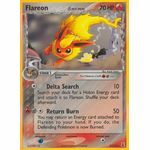 Search your deck for a Holon Energy card and attach it to Flareon. Shuffle your deck afterward. [R][M][C] Return Burn: 50 damage. 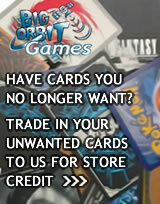 You may return an Energy card attached to Flareon to your hand. If you do, the Defending Pokemon is now Burned. Poke-Power: Energy Jump: Once during your turn (before your attack), you may move an Energy card attached to 1 of your Pokemon to another of your Pokemon. 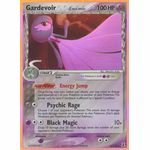 This power can't be used if Gardevoir is affected by a Special Condition. [P][C][C] Black Magic: 10+ damage. Does 10 damage plus 20 more damage times the number of your opponent's Benched Pokemon.